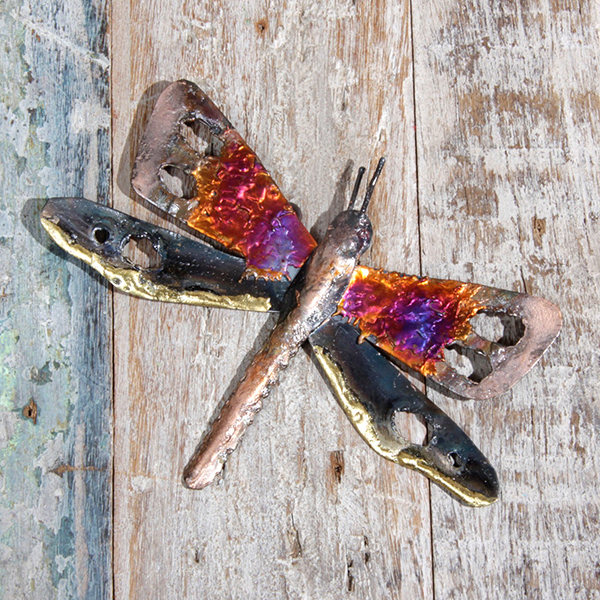 Beautiful handmade metal Dragonfly with burnished copper and bronze detail. 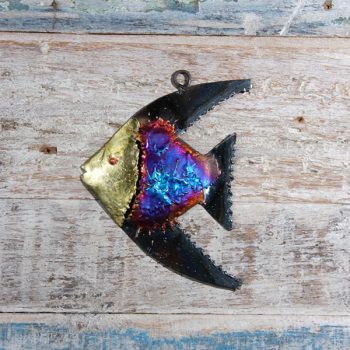 Each piece has been diligently handcrafted from sheet metal. 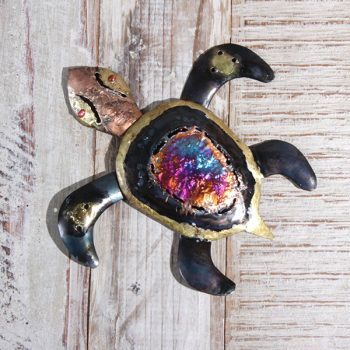 After the metal has been shaped it is fired with mineral powders to give colour, then finished with copper and bronze. 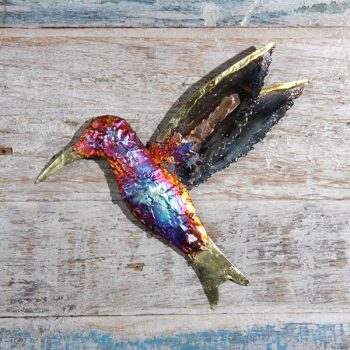 The end result is a stunning piece of wall art. The colours may vary slightly as they are all unique. 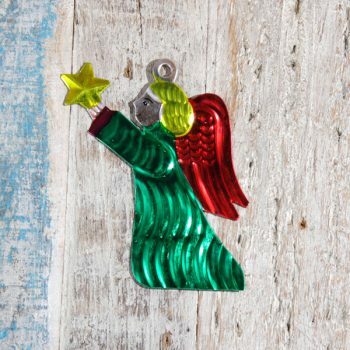 We directly import these handmade wall art decorations from Mexico. They are ethically traded. Size : 16 x 11.5 cms each piece has a little hook for easy hanging.